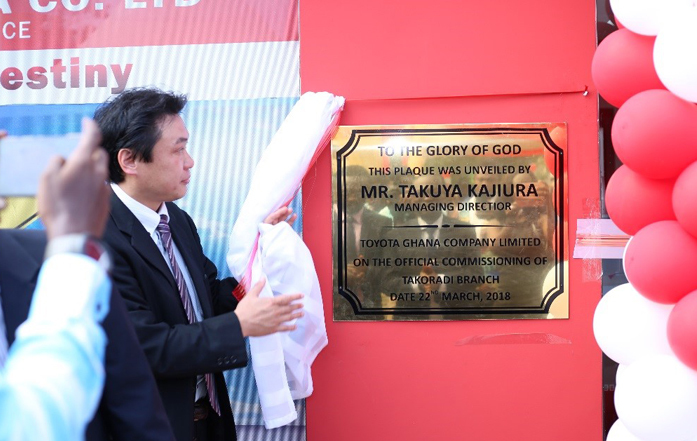 Toyota Ghana Company Limited (TGCL) has signed a project partnership agreement with the University of Ghana for the development of a multipurpose workshop and a training centre for the University community. The event held at the University of Ghana saw in attendance the Japanese Ambassador to Ghana, Tsutomu Himeno, the Vice-Chancellor of the University of Ghana, Prof. Ebenezer Oduro Owusu, the Managing Director of Toyota Ghana Company Limited, Takuya Kajiura as well as senior university faculty members and some officials from Toyota Ghana. Out of 630,000 artworks received all over the world from over 80 countries, 30 best artworks were selected. One representative from Ghana was part of the best 30. This is the second consecutive time Ghana has made it to the finals. The winner from Ghana, Henry Danso Yeboah, will attend the awards ceremony in Japan in August. 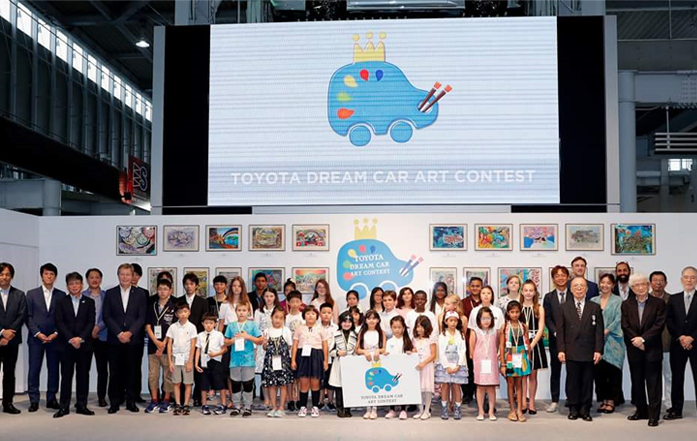 Congratulations to Henry and Congratulations to Toyota Ghana Co. Ltd.
At the end of the 12th National Toyota Dream Car Art Contest, 953 artworks were received from all over the country. After shortlisting, the best 80 artworks were selected and rewarded at a special awards ceremony held at the Aviation Social Centre. Out of the top 80, the best 9 artworks were selected to compete at the world contest with other winners. 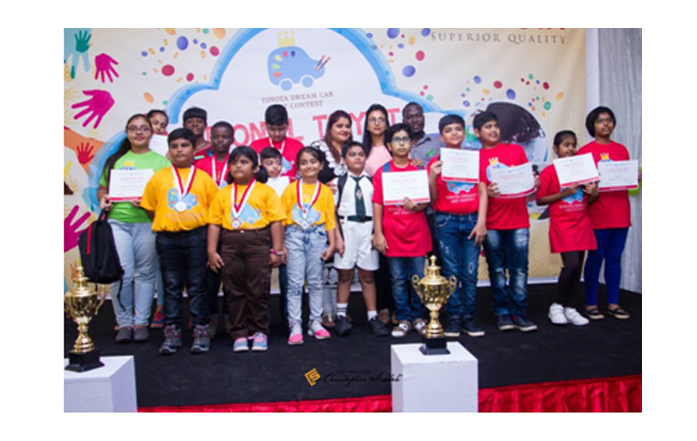 The awards ceremony was filled with fun and loads of exciting prizes for all. Keeping our customers informed on new and existing products and services is our prime concern. 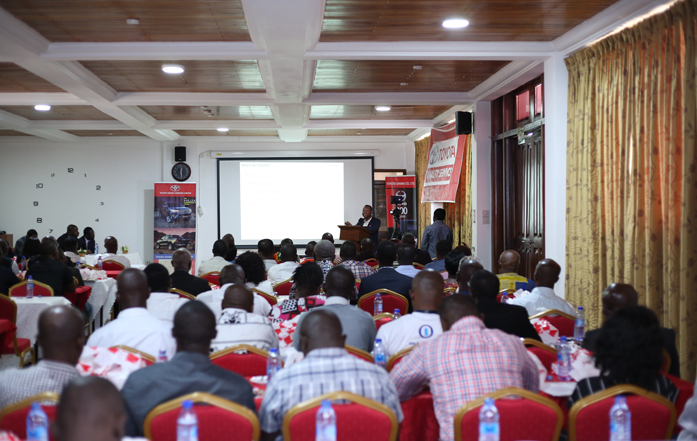 A one-day users’ conference was organised to interact with Toyota Ghana customers in Takoradi and its environs. This platform gave our customers the opportunity to raise their concerns for our urgent consideration. In our continuous effort of getting closer to our customers, a new outlet has been added to our existing outlets. This facility will cater for customers in Takoradi and its environs. The skills of Toyota Ghana Technicians and Parts advisors have been upgraded through an annual Toyota Skills Contest. The contest comprised of a theory and practical session through which contestants’ levels of proficiency were tested. The winners of the contest will represent Ghana in Japan at the Champions Assembly in October.